To be our next Featured Member, Ferg jumped at the chance. Well, Ferg jumps for everything, so that’s not any different … but he’s still one of the best members our Club has, and a true MINI and Mini fanatic. Click the ‘Read More’ link below to see the answers Fergal gave to our list of all important questions, and of course, to see more of Ferg, and his collection of cars. Security Officer for Noonan Security,based in EMC Ovens, Cork. 2007 R56 MINI Cooper S.
1978 Fiat 128 for a month,but my first Mini was a 1968 Wolseley Hornet rally car! Favourite thing’s about my R56 MINI Cooper S? The colour, Laser Blue. The Latest alloys I’ve fitted, the handling, the looks, I could go on and on, I love this car. 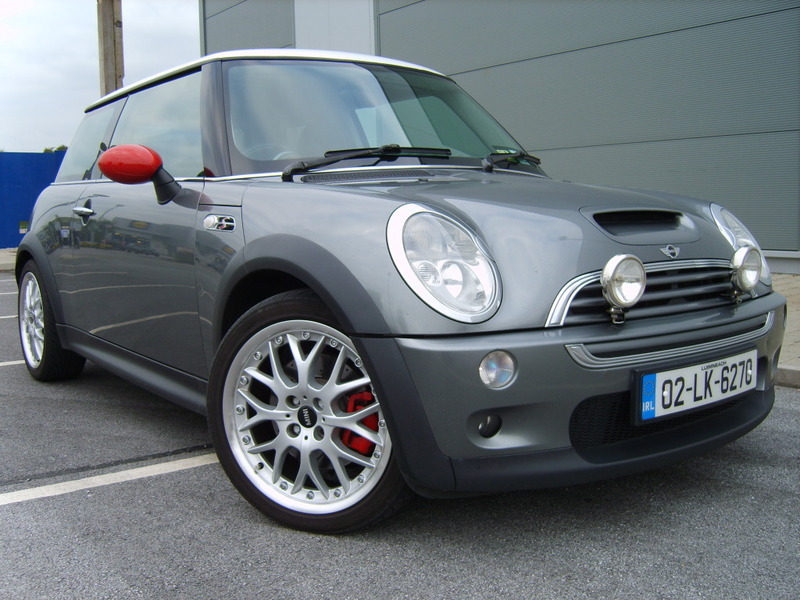 €400 Fully Comp on R56 MINI Cooper S.
Best things about being a Mini driver? Driving a ‘Different’ car to everyone else.Having fun driving and owning a great,different,mad car to the rest of the commuter traffic. Do you wave to other Minis? Always,and flash the lights too,but seems to be a dying breed of people who will wave back though. 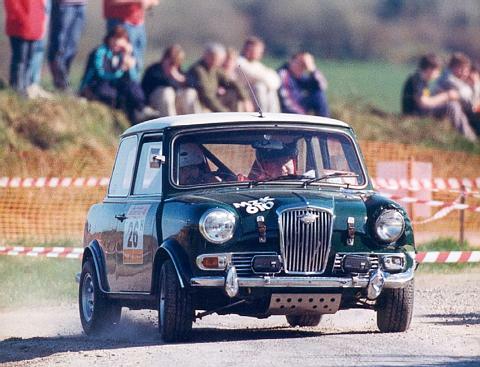 Generally better response from early MINI’s and Mini’s. 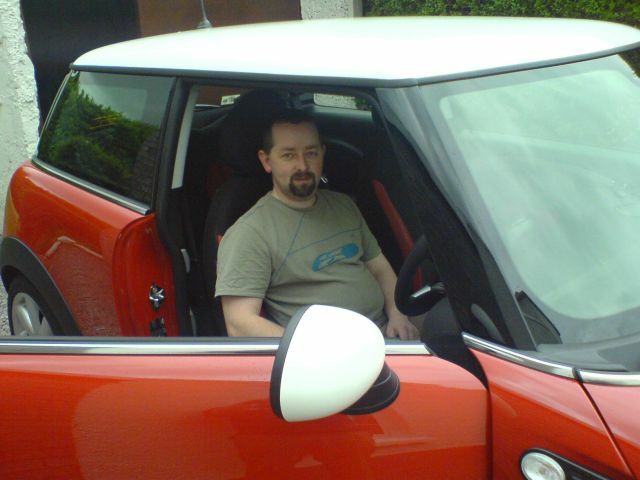 When i got my first Mini,didn’t have it long until i got my hands dirty and took it off the road for a rebuild to rally spec,converted the suspension from hydro to dry,swapped subframes,changed engine from 998cc to 1275cc,Cooper s brakes etc.Did some of the work myself and Ger and Aidan did the rest(Thanks Guy’s )Good to get to know your Mini like this as you really ‘know’ it and gives you confidence in it’s ability. We drove from Ballincollig to Scotland(in full Rally spec,rollcage,bucket seats etc. not very comfortable!) and back in that Mini with nothing more than a wet distributor cap one morning after typical Scottish weather!!! A simple tissue fixed that,dried the cap and off again. Wouldn’t have gone on this trip if i hadn’t ‘known’ my Mini from front to back after the rebuild. Any plans for your MINI? A JCW Aerokit, a JCW exhaust and maybe different stripes. 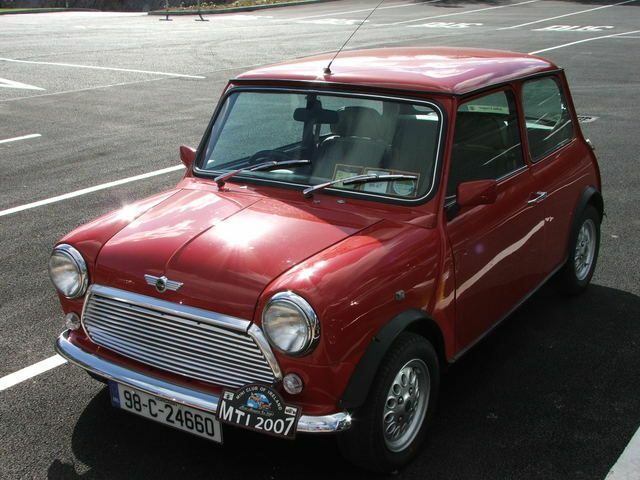 Fergal's beautiful Mpi Mini Cooper.